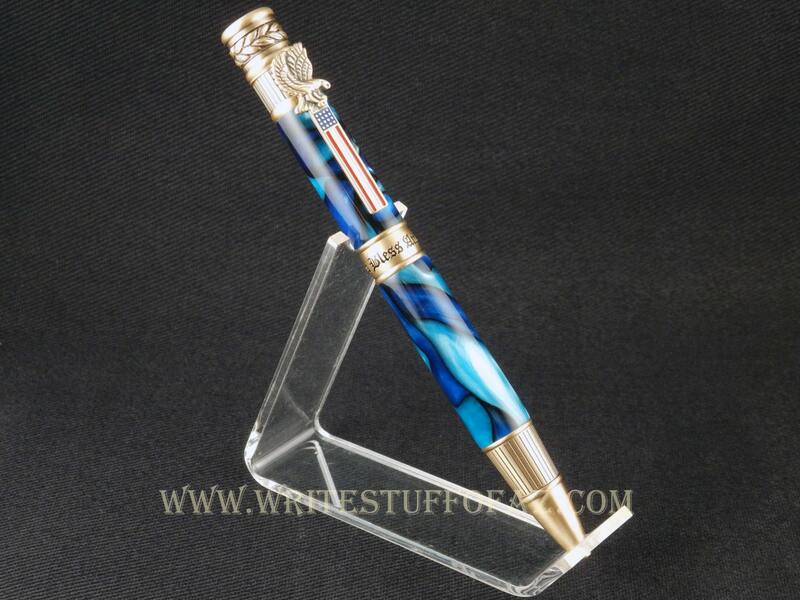 This pen has been hand-turned from a beautiful acrylic cast from two rich shades of blue lending the pen's appearance a perfect balance of depth and shimmer throughout. 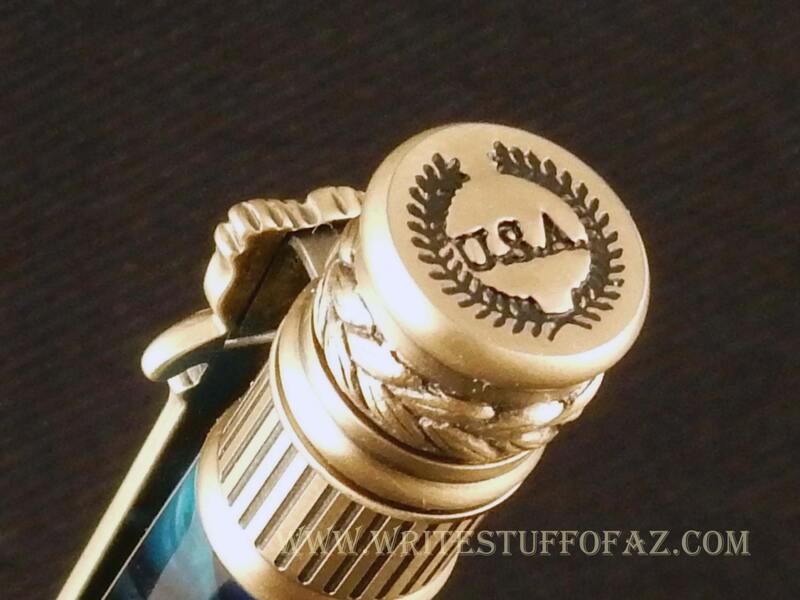 After finishing, it has been paired with jewelry grade antiqued brass plated fittings. 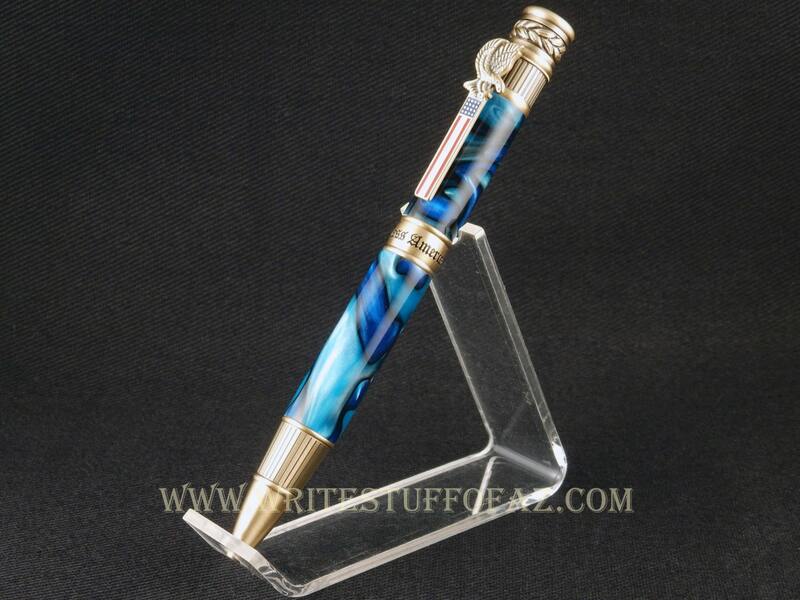 The pen accepts Parker refills, available in either ballpoint or gel in office supply stores nationwide.